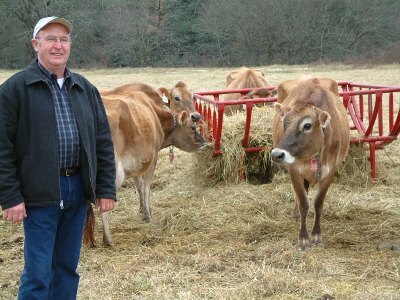 In December 2004 Mainspring acquired a working farm conservation easement on Spring Ridge Dairy — one of the largest riverfront farms at the head of the Little Tennessee River Valley. The conservation agreement ensures that the broad bottomland along a mile of river will be protected from development and always remain available for farming. In addition to protecting farmland and the rural scenery at the Gateway to North Carolina, the agreement conserves the heart of the battlefield site in which a British-led force of 2,800 men in 1761 defeated the Cherokee in what was known as the second battle of Echoe during the “French and Indian War” in the South. Funding for this project came from the USDA Farm and Ranchland Protection Program, from the N.C. Clean Water Management Trust Fund, and from over $80,000 of key donations from Mainspring supporters.